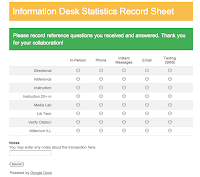 If you want to turn manually recording of Reference Desk statistics into digital, read this article, "How to Build a Desk Statistics Tracker in Less Than an Hour Using Forms in Google Docs" by Sunshine Carter and Thomas Ambrosi from the University of Minnesota–Duluth. The article provided detailed instructions on how to create a form for your library. 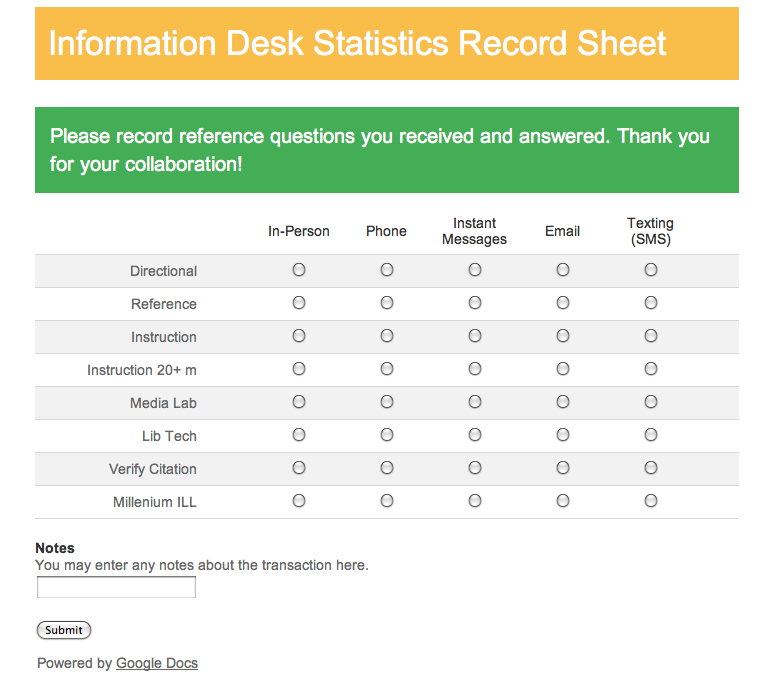 It would be better and more helpful if Google Docs form provided more functions for data collection and analysis.